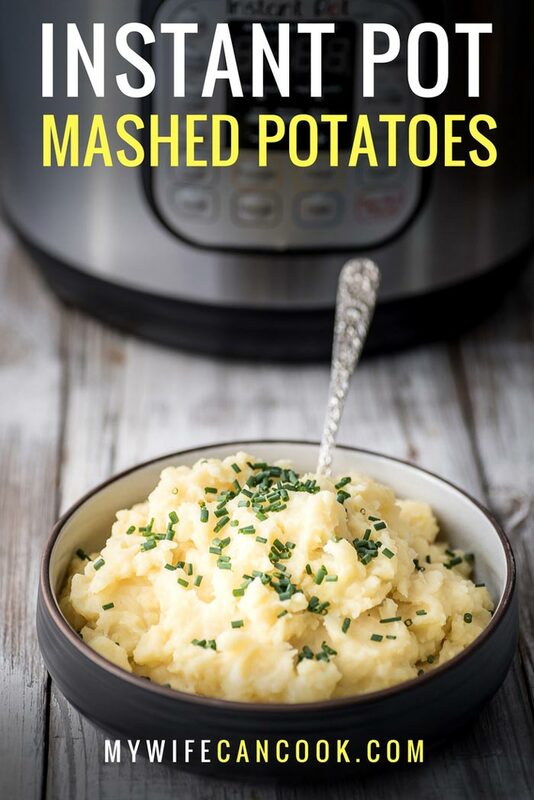 Instant Pot Mashed Potatoes - No more pots boiling over! When you’re cooking a big meal, anything that you can make easier can be a lifesaver. 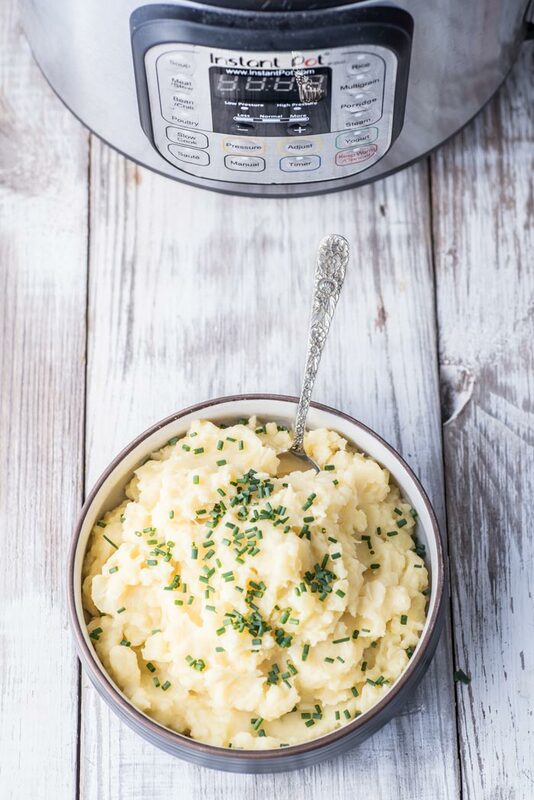 Instant Pot mashed potatoes to the rescue. This recipe involves only using your Instant Pot. No overflowing pot of boiling potatoes on the stove. No separate mixing bowl. No small pan of melted butter and cream on the stove. Just potatoes and a few simple ingredients in the Instant Pot on a spot on the counter out of the way. Only an 8-minute cycle, quick release, mash your potatoes with butter or cream, then close up and keep warm until ready. Oh my gosh, I love it! 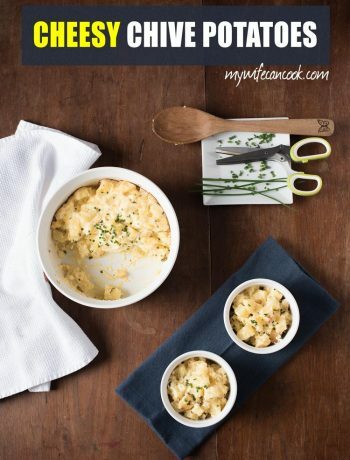 It’s super helpful knowing the mashed potatoes are going to be easy. I have tried these several times in different quantities and have kept them warm for up to 30 minutes after mashing. I’m guessing you could wait even longer. Add more broth or cream if they seem too dry. 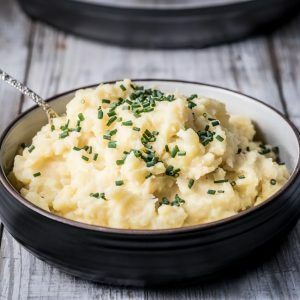 We peeled the potatoes for this recipe since most people seem to prefer peeled potatoes for Thanksgiving, but feel free to leave the peels on if you like mashed potatoes that way and want to make the prep for these even easier. How Many Potatoes per Person? As far as how many potatoes to use, most online resources recommend about 1/2 a pound of potatoes per person. So, with our recipe and 2.5 pounds of potatoes, it should be enough for 5 people. This all really depends on if you have large potato fans and how many other things you are serving. For this recipe, I used yukon gold potatoes. I used a handheld pastry dough blender to mash the potatoes because I don’t have a good potato masher or handheld mixer, but you have several options for this step. Mashing potatoes isn’t exactly rocket science. 🙂 But there are pros and cons to the various mashing devices you can choose from. For example, if you use a handheld device like my pastry dough blender or a potato masher then it requires some real effort and is a little harder to get all the lumps out, but it’s straight-forward and makes for easy cleanup. Something like a food mill or mixer might do some of the work for you and result in creamier potatoes with less lumps, but setup and cleanup will involve more time. So, it just really comes down to what works best for you. 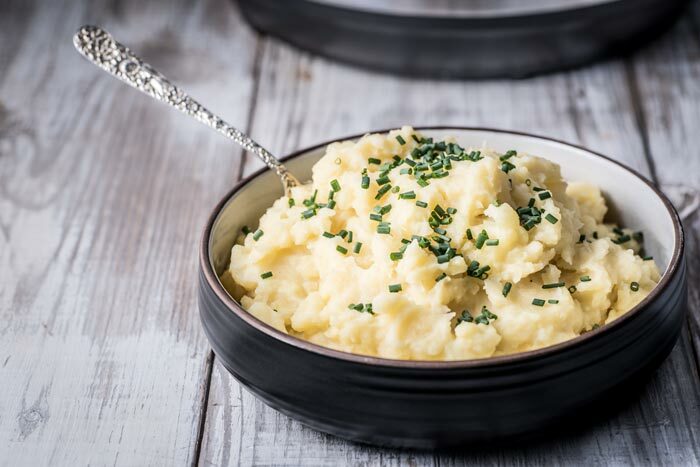 If you like these Instant Pot mashed potatoes then you might like some of our other Instant Pot recipes like this Instant Pot Applesauce. We’ve become pretty comfortable with our Instant pot and love how easy it is to use, but if you’re still on the fence or a new Instant Pot user then you might want to check out these 10 Helpful Tips for New Instant Pot Users. Mashed potatoes with broth, butter, and half and half made in the Instant Pot. Peel and quarter potatoes and add potatoes, broth, and salt to Instant Pot. Close lid, seal vent, and set the Instant Pot to manual and 8 minutes. Once cycle is complete, turn off Instant Pot and quick release the pressure. Remove pot from the Instant Pot housing and place on a flat surface with something to protect your counter from heat. Add butter and half and half and mash to your desired consistency (be careful as the potatoes will be hot). Place pot back in the Instant Pot and close and seal lid. Press keep warm and leave potatoes in until ready to use. Add additional broth or half and half if too dry. Drooling. NOTHING, and I mean nothing better than a big ol batch of mashed potatoes on a cold day. And I love how simple these are!!! All hail the instant pot! Thank you! Seriously, the Instant Pot is my new best friend! Oh my gosh I NEED an Instant Pot, because YES cooking during the holidays is SO stressful! There’s so much to do! This year was the first year I used a crock pot, but it took way longer than 30 minutes! 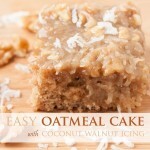 Yeah, my goal is to come up with ways to make holiday cooking easier! 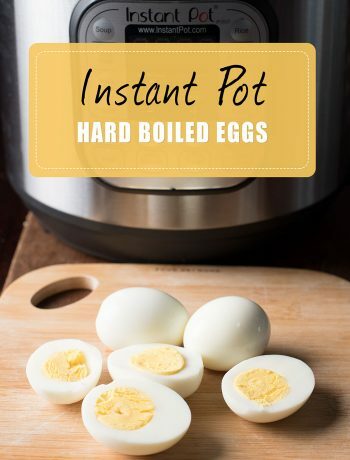 Love my Instant Pot! 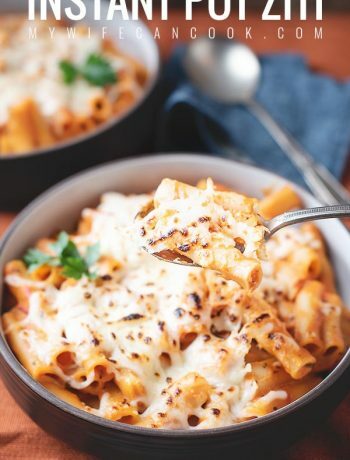 This instant pot recipe seems to be awesome. 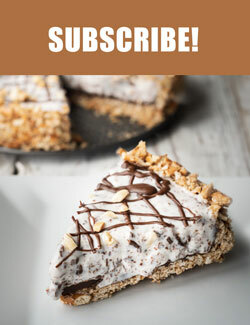 I will try this at weekend for my friends and kids to taste. I will be back with reviews. Thanks.